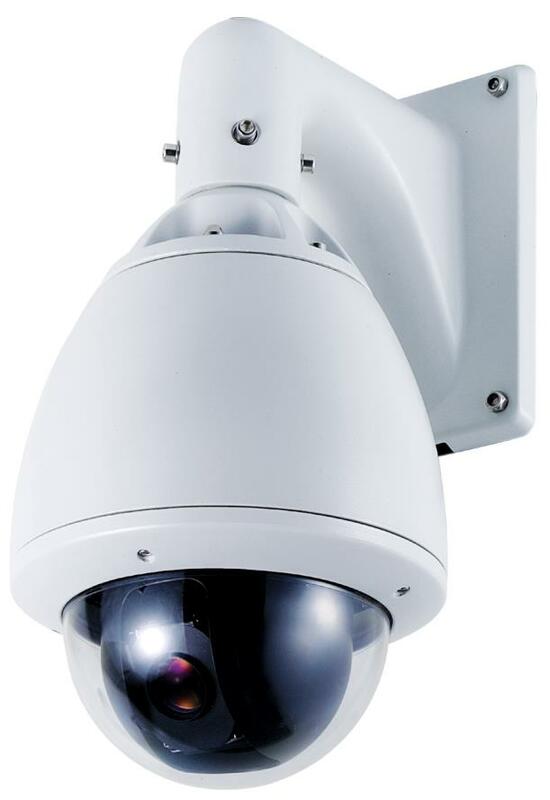 The PTZ53WE PTZ camera with 30X optical zoom, .001 low light ability and 600 lines of resolution is ideal for warehouses, offices or small businesses looking for an affordable speed some camera. The PTZ53WE price is more affordable by eliminating some of the unnecessary bells and whistles but still offers everything you expect with a PTZ camera. The PTZ53WE has 128 Presets, an Auto Cruise track, 360° panning at 0.5~240°/sec and 100° tilt range with auto flip at 0.5~120°/sec. and on screen display. The PTZ53WE uses standard RS-485 data communication and can be easily controlled by most PTZ controllers or DVRs. And if you need to view and control the camera wirelessly up to 3000 feet you can use our KW2400RS transmitter set or if you need more distance our PD24-RSPL transmitter set can be used up to 3 miles line of sight. Enclosed in an IP66 weatherproof housing with built-in heater and blower this affordable PTZ camera is ready to provide quality images in all weather conditions.